Robert V. S. Redick’s Chathrand Voyage Quartet (The Red Wolf Conspiracy and sequels) is among the most beloved and critically acclaimed epic fantasy series of recent years. A social and environmental justice consultant, he has worked in Indonesia, Argentina, Colombia and many other countries. His new fantasy series, The Fire Sacraments, will be published by Talos Press. He lives with his partner in Western Massachusetts. Kandri Hinjuman was never meant to be a soldier. His brother Mektu was never meant for this world. Rivals since childhood, they are drafted into a horrific war led by a madwoman-Prophet, and survive each day only by hiding their disbelief. Kandri is good at blending in, but Mektu is hopeless: impulsive, erratic – and certain that a demon is stalking him. Is this madness or a second sense? Either way, Kandri knows that Mektu’s antics will land them both in early graves. But all bets are off when the brothers’ simmering feud explodes into violence, and holy blood is spilled. Kandri and Mektu are taken for contract killers and must flee for their lives – to the one place where they can hope to disappear: the sprawling desert known as the Land that Eats Men. In this eerie wilderness, the terrain is as deadly as the monsters, ghouls, and traffickers in human flesh. Here the brothers find strange allies: an aging warlord, a desert nomad searching for her family, a lethal child-soldier still in her teens. They also find themselves in possession of a secret that could bring peace to the continent of Urrath. Or unthinkable carnage. On their heels are the Prophet’s death squads. Ahead lie warring armies, sandstorms, evil spirits and the deeper evil of human greed. But hope beckons as well – if the “Master Assassins” can expose the lie that has made them the world’s most wanted men. I had heard many many great things about this book, people i know with the right sort of taste (my taste) in books were highly praising this book, so needless to say i went into this book with very high expectations. Once i reached about 50 pages in i had some concerns, the book had lots of quality, but i didn’t see this amazing sparkle that everyone was waxing lyrical about, but … well one of those people was Mark Lawrence, i’m going to trust him and persevere was my thinking. So night after night i plugged away at this book and very soon i wasn’t looking for the magic i was engrossed in it. A world so very new, so bleak and deadly and yet so captivating that you the reader cannot help but be dragged into the mire with our two very unlucky (or are they really lucky?) brothers. As with all truly great books its not really the world that is the genius (but it helps), although the author for this book truly goes beyond Epic fantasy in his world building, But its the Characters that define great and in this book they are so flawed so unique, so different to anything i have read before. The rising of the underclass behind popular religion, twisted to a zealotry ideology, yet showing that many of the zealots are just people dragged along, to eat, survive and live in a country ruled in such a way, (not everyone is a terrorist… sorry Zealot). Our brothers have so much mystery surrounding them, their pasts, and their loves and is one of the possessed or just plain crazy, all of this taking place at the same time as a helter skelter escape plan that is just plain insanity personified. So i add my voice to the others that have gone before…… BUY THIS BOOK!! its really really good. wife and their two daughters. I have said for some time that Matthew Harffy is writing at a very high level, his Bernicia Chronicles started as most debuts with a good book but one with a few flaws, like a truly talented writer he listened to feedback and learned from it and The Cross and the Curse showed a big leap in writing skill, an improvement that has continued with every book, by Killer of Kings Matthew had a series to rival Bernard Cornwells Uthred, only Matthew Harffys is grittier, the characters deeper, more real and as such the plot more satisfying. Warrior of Woden isn’t a book that kind on Beobrand, for a man who is a bit of a tortured soul, this book takes him further, and shows that no matter the era, warriors suffered from the constant war and the killing, but as ever our man digs deep into that well of courage to try to survive and over come. This is a brutal time and to survive it takes a man of depth and one who has come to terms with his own level of brutality. Be prepared for death both on a big scale, but also on a personal scale, in the same vein as Anthony Riches, no one is safe….. read the book and see who gets it! a highly accomplished gritty book, in a series that never fails to impress. Giles has led a varied life, to say the least. During the 90s he was lead singer of pop group Upside Down, achieving four top twenty hit records, performing twice on Top of the Pops, and singing at such venues as the Royal Albert Hall, the N.E.C. and Wembley Arena. As a singer-songwriter he lived and toured for two years in Europe and has made music videos all over the world, from Prague, Miami, Mexico and the Swiss Alps, to Bognor Regis! To fund his writing habit, he has worked as a model, appearing in TV commercials and ads for the likes of Walls Ice Cream (he was the Magnum Man), Canon cameras and two brands of lager! He has been an advertising copywriter and lived for three years in New York, where he wrote copy for movie marketing company Empire Design but mainly worked on his first novel. Family history (he is half Norwegian) inspired Giles to write his first historical novels: the acclaimed and bestselling RAVEN Viking trilogy – Blood Eye, Sons of Thunder and Odin’s Wolves. 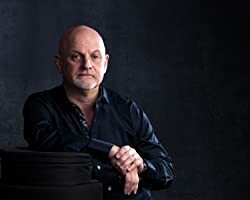 For his next series, he drew on a long-held fascination with the English Civil War to chart the fortunes of a family divided by this brutal conflict in The Bleeding Land and Brothers’ Fury. Giles also co-wrote Wilbur Smith’s No.1 bestseller, Golden Lion. In his newest novels – God of Vengeance (a TIMES Book of the Year), Winter’s Fire, and Wings of the Storm – he returns to the world of the Vikings to tell the story of Sigurd and his celebrated fictional fellowship. Currently, Giles is working on his next novel, Lancelot, scheduled for publication in the summer of 2018. Giles Kristian lives in Leicestershire. 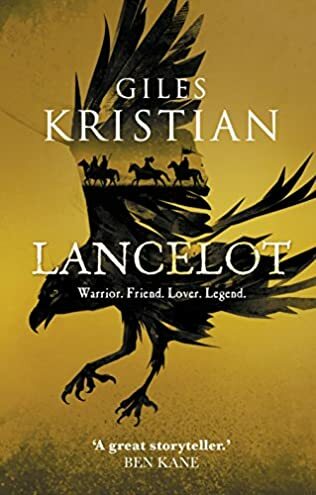 Set in a 5th century Britain besieged by invading bands of Saxons and Franks, Irish and Picts, Giles Kristian’s epic new novel tells – through the warrior’s own words – the story of Lancelot, that most celebrated of all King Arthur’s knights. It is a story ready to be re-imagined for our times. In 1995 Bernard Cornwell wrote the Warlord Chronicles, with that he set the bar for Arthurian tales. He took the world of knights in plate armour on horseback, with couched lances and their flowery medieval poetry of vanquishing barbarian foes with honour and knocked them right back to the 6th century, a post Roman world, riddled with Saxon invaders, a land with its opulent stone buildings falling down and no skills to repair them, back to the dirt the grime and the terror of small kingdoms stitching together parts of that Roman prowess to forge new alliances and petty grievances. No one has attempted to emulate that achievement since… Until Lancelot. Giles Kristian is one of the finest storytellers in the genre, he has a lyrical poetry to his writing that has never failed to capture me and my imagination, so when i heard he was writing Lancelot i was excited, but also intrigued, after all Arthurian legend is about Arthur….. isn’t it? What struck me immediately on starting the book was how the approach was similar to Conn Igguldens Gates of Rome (a No 1 best seller), taking a historical figure (or in this case myth) and starting their story at the beginning, showing how the man was made, the sequences, the accidents, the mistakes and the tragedies that shaped the man who would be. Not only do you get that shape, you get that emotion, the child becomes your family, you grow with them, you nurture them and hurt with them and love with them and this is the brilliance of the writer and his craft, to weave you into the fabric of the book, but also the soul of the characters. Giles Kristian is very honest at the outset of this book in that its inception started at a time of great personal tragedy, and you can feel in the book and the story raw honest emotion, its not that the grief he must have experienced is expressed in the book, his writing transcends that, its more that every event is viewed with an exposed honesty, an openness that hides nothing, instead you feel the love. Given that the soul of this book is a love story, the story of Lancelot , Guinevere and ultimately Arthur, sworn lord and friend of one and Husband of the other, the heartbreak that must ensue, and ultimately for one a betrayal, that outpouring of emotion has so many outlets, so many paragraphs to fill and Giles Kristian pored into them until they over flowed. This is a book that you feel as much as you read. What we end up with is utterly staggering. A book to be beyond proud of. Giles Kristian has surpassed the Cornwall trilogy in a single title. Truly I’m in awe of this book, I’ve been spell bound for days, and the ending … I’m emotionally spent. … really a honour and a privilege to read it. I cannot recommend this book enough, no matter the genre you love, if you love great writing and great stories, read this book. Feist is one of the world’s leading fantasy writers. His Riftwar and Serpentwar Sagas have been global bestsellers for years. 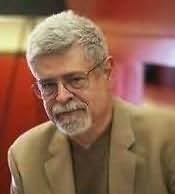 Born and raised in Southern California, Raymond E. Feist was educated at the University of California, San Diego, where he graduated with honours in Communication Arts. He is the author of the bestselling and critically acclaimed Riftwar Saga. As a Free Lord, Baron Daylon Dumarch owes allegiance to no king. When an abandoned infant is found hidden in Daylon’s pavilion, he realizes that the child must be the missing heir of the slain Steveren. The boy is valuable – and vulnerable. 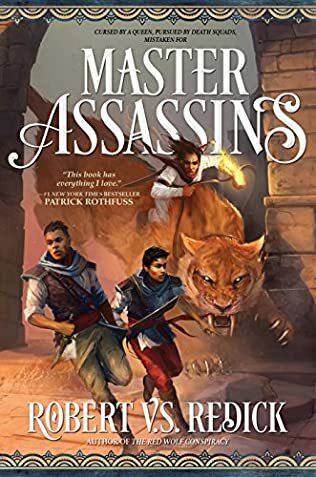 A cunning and patient man, Daylon decides to keep the baby’s existence secret, and sends him to be raised on the Island of Coaltachin, home of the so-called Kingdom of Night, where the powerful and lethal Nocusara, the “Hidden Warriors,” legendary assassins and spies, are trained. Soon, the two young men unknowing rightful heir to a throne and a brilliantly talented young swordsmith – will discover that their fates, and that of Garn, are entwined. The legendary, long-ago War of Betrayal has never truly ended . . . and they must discover the secret of who truly threatens their world. The question is….. can he create a new world? When i started reading King of Ashes i felt that familiar voice, the voice that had attracted me all those years ago, there was so much familiarity that for the first few chapters it felt like i did when Talon of the Silver Hawk was released a new chapter of the same wonderful world, yet something utterly new, but that was just an echo of the writing style that i have loved, because quickly a new world unfolds before the reader. 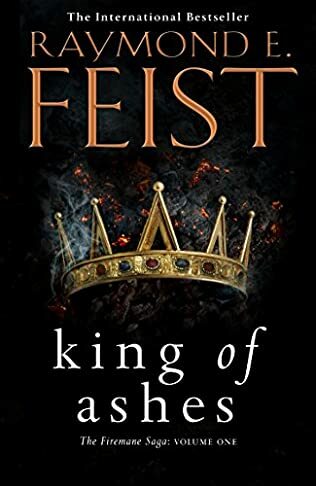 Very quickly Raymond Feist brings a new voice to his writing, woven with echos of the past, but certainly something new and exciting. This new world of betrayal, new religion and violence given in such a way that echos Krondor, characters that have the mischievous edge of Jimmy the Hand, but warped and wefted into new people and new societies, new cultures and beliefs. Much is revealed in book one who the firemane child is, how he was raised, and yet i feel we have only just scratched the surface of the world we have entered. Book one King of Ashes is a full complete and amazing book all in its own right, but like the Riftwar books its chock full of promise and menace for the series to come, its the start….. This book is a high contender for my fantasy of the year, i admit partly for the nostalgia, but also because this truly is the start of something very special. began his lifelong interest in war and soldiers when he first heard his father’s stories about World War II. This led to a degree in Military Studies at Manchester University. He began writing the story that would become Wounds of Honour after a visit to Housesteads in 1996. He lives in Hertfordshire with his wife and three children. For Rome does not give up its territory lightly. And a new emperor knows that he cannot tolerate any threat to his undisputed power. It can only be a matter of time before Vespasian sends his legions north to exact the empire’s retribution. Book Three of Anthony Riches brilliant new series, with any trilogy the expectation is clear….. can he finish it with style and energy or will it be a damp squib of an ending? Was the result ever in doubt? 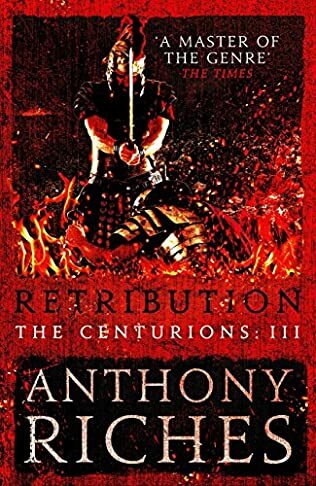 I’ve not read a book yet by Anthony Riches that was anything but a thrill ride and Retribution continues that epic roll of fantastic books. The Centurions series has always felt like something new, a series taking a more serious edge to the writing than Empire usually does (don’t get me wrong, Empire is one of my Fav series), but the writing of Kivilaz and the Batavi has always felt more serious, more intense and more sweepingly intense as a historical period than the exploits of Two Knives and Dubnus. Book Three pulls together all the threads from the previous books, not only does the author fully tie every thread off with a flourish, but the book romps along at a breakneck pace, more though, the book contains some very raw emotion driven by the betrayals, the deaths and the culmination of the Batavi mutiny. For a story based on history, somehow Antony Riches has you guessing and hoping for a different outcome, that history can change and the Batavi can win their independance. Anthony Riches has always managed to surprise me with who he feels capable of killing in a book and the twisted machinations of his mind. But with this book he has managed to surprise me in new ways, that an author can write something so different, and yet maintain his pace and wonderful characterization. This book will be right up there at the end of the year, butting heads for a spot in the top 10 of the year, its a do not miss book and series.